Dr Oz was with the biggest names in talk show history: Sally Jessy Raphael, Montel Williams, and Jerry Springer. He wanted to take a page out of Jerry’s book with his Final Thoughts. 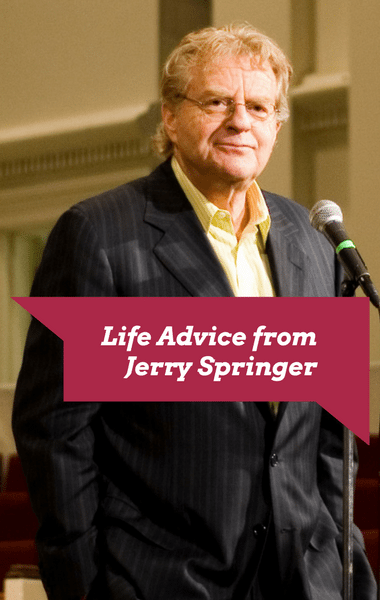 He first turned to Jerry for his advice on how to get back on track. First, stay off his show. Second, always be authentic. He also makes a point to say on his own show that you should take care of yourself but also take care of each other.